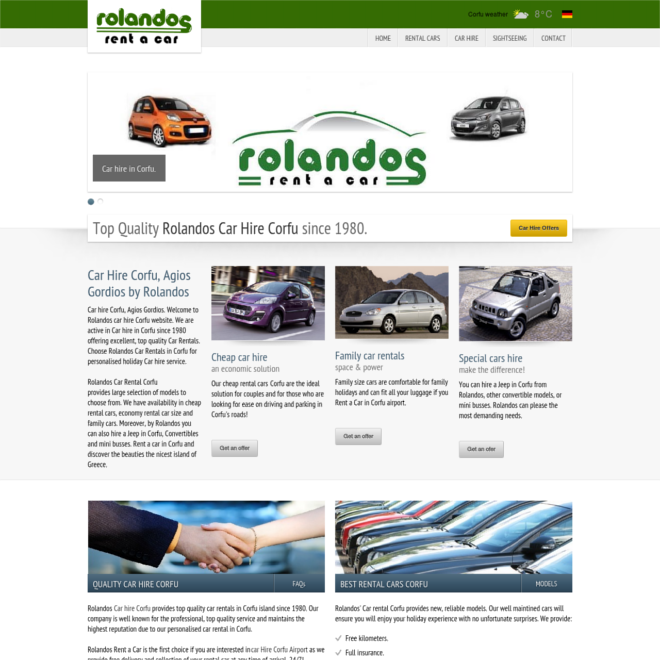 Rolandos Corfu Hire Corfu offers excellent service, with new models and competitive prices. Hire a car Corfu by Rolandos and explore Corfu. 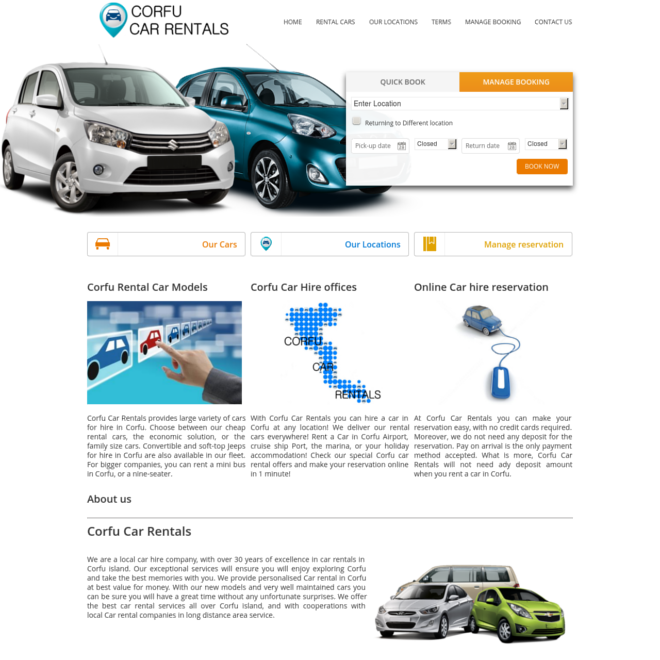 Corfu Car Rentals offers quality Car hire in Corfu at low prices. Visit the website and book a car in Corfu now. 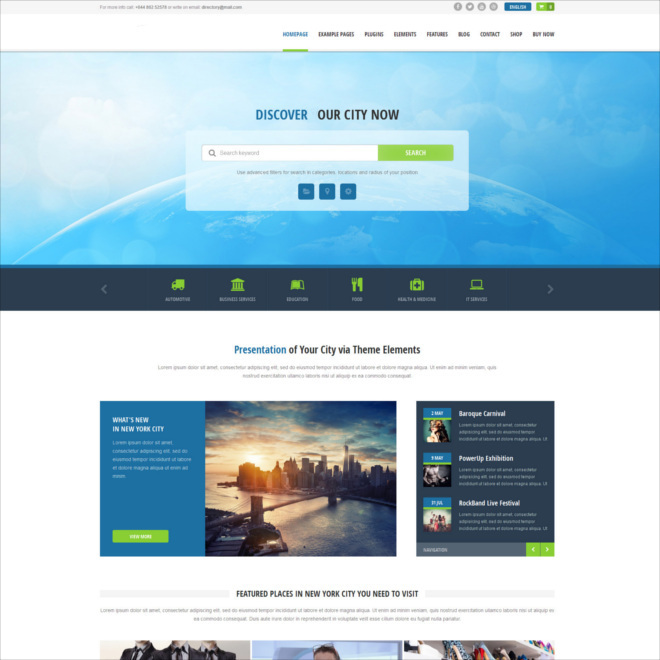 Online car hire reservation system! 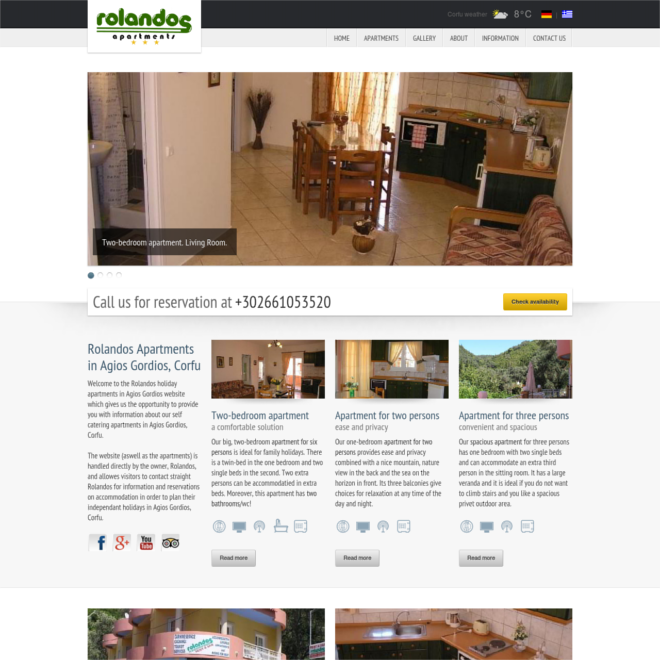 Rolandos apartments Agios Gordios provide luxurious holiday accommodation in Corfu. High rated self-catering Apartments in Agios Gordios. Corfu Travel guide is a complete Corfu Holiday guide. Here you can find a complete corfu business directory and many useful information for your visit to Corfu. 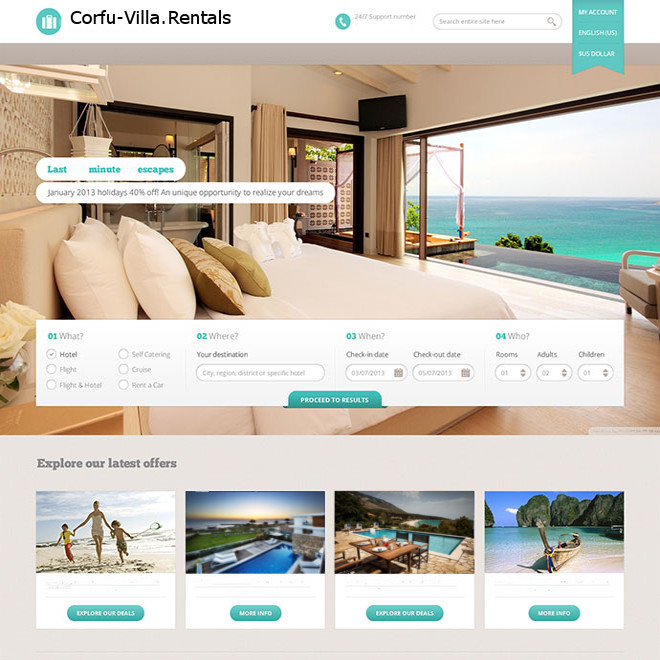 In Corfu Villa Rentals you can find your exceptional villa for hire in Corfu. At Corfu Holiday Rentals you are able to book a Corfu holiday package deal. 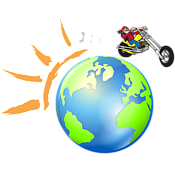 Here you can find accommodation, car rentals, bike rentals and more. 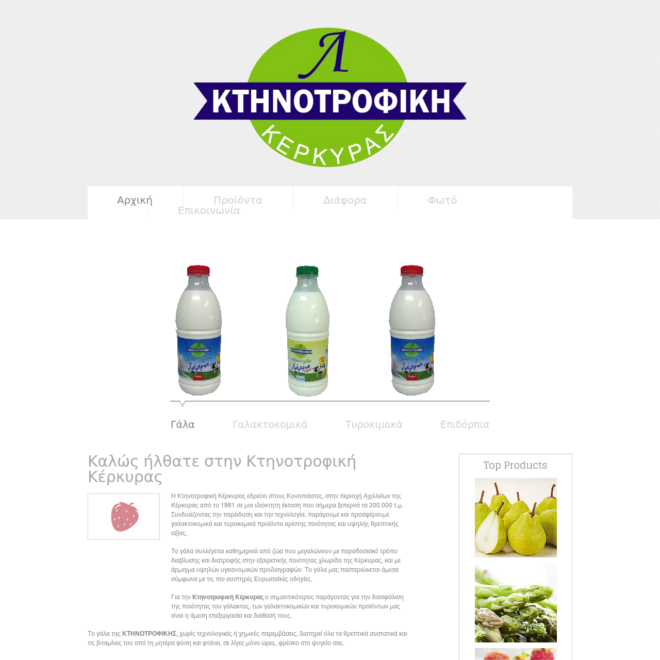 Ktinotrofiki Kerkyras provides quality, traditional corfu local products. Their dairy production is based only in local milk, and they offer quality milk, cheese, corfu butter and of course meat. 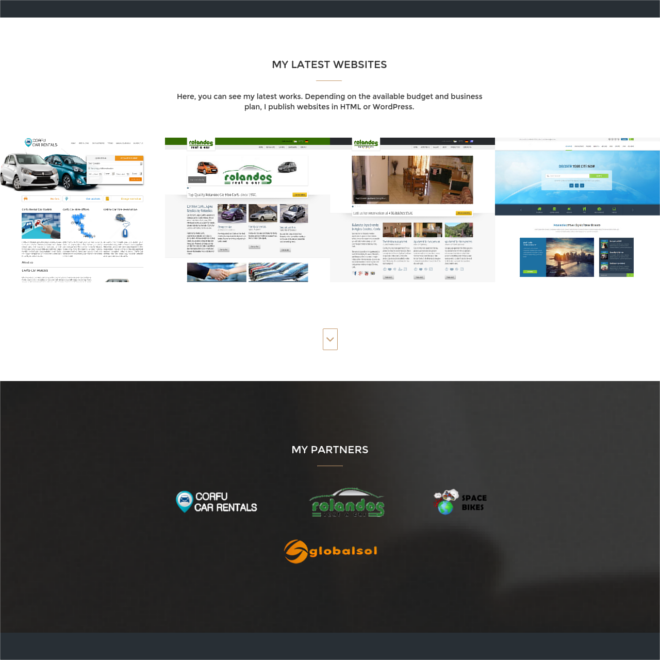 Karamanidis Anestis is the author of this website. Visit this page and check out his latest work! At Agios Gordis website you can get information about accommodation and other tourist services in Agios Gordios Village.